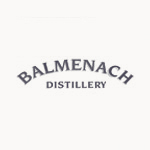 In Cromdale, the heart of Speyside, lies the Balmenach Distillery, founded in 1824 by James McGregor. The McGregors were a well known family of smugglers, but after the Excise Act of 1823, it became one of the first legally run distilleries. It is now in the hands of Inver House Distillers, who bought it over in 1997 from Diageo. The distillery released its first official house bottling in 1992, and since then has produced a handful of independent bottlings. The spirit is also used in several blended whiskies, including Johnnie Walker.